A clear sky. Low 44F. Winds SW at 10 to 20 mph. 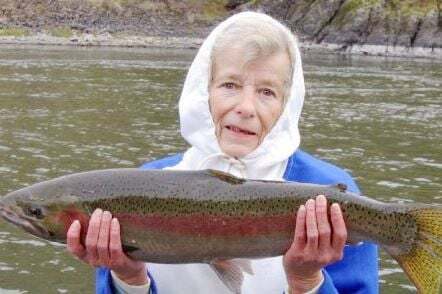 RUPERT – Jane Ann Corey, an 82-year-old longtime resident of Rupert, passed away peacefully at Autumn Haven Assisted Living Facility, Saturday, March 2, 2019. Jane was born June 6, 1936, in Ontario, Oregon, to Wilbur Edward and Alice Irene (Brink) Helsley, and was an only child. She attended school in Nampa, graduating in 1954. She started her retail career at Sears in Nampa, later continuing in Burley, before retiring in 1982. In 1961, she married Jack Lionel Corey, and, in 1962, their son, Jeff, was born followed by a daughter, Susan, in 1963. Following their marriage, Jack’s work with Union Pacific Railroad took them from Nampa to Granger, Utah, before moving to Burley in 1965. In 1974, they moved to Rupert where they still reside. Although Jane retired from the workplace, she spent countless hours volunteering, advocating for troubled youth in the court systems. She was also a mainstay at countless Minico High School activities; watching basketball, softball, volleyball and golf as her kids grew up. Susan recounts that Mom never missed any of her games and she spent countless hours driving Jeff to junior golf tournaments all over Idaho and Utah. She garnered the nickname, “Mother Earth,” and enjoyed her interactions with youth. After Jack’s retirement, they enjoyed their trips to Lewiston, Idaho, in the fall spending seven weeks steelhead fishing on the Snake River. After befriending locals, Bill and Rebecca Correll, they camped on the edge of the river well over 20 years in “Camp Corey,” fishing with family and friends. Jane named several fishing holes, including her favorite, “log hole,” but mostly enjoyed having family all together. Jane’s love of animals—especially cats—was well known. There was always a “bunch” at their house, as she would feed them day and night. Her last inside cat, Punkin, was pampered and over fed, but was a true friend. She is survived by her husband, Jack of Rupert; son, Jeff (Teresa) Corey of Bothell, Washington; and daughter, Susan (Kevin Lyons) Tankersley of Greenbank, Washington. She has two living grandchildren, Zach Tankersley of Issaquah, Washington, and Heather Corey of Post Falls. She was preceded in death by her parents; and her grandson, Ryan Corey. At her request, no service will be held. Donations in her memory may be made to the Idaho Youth Ranch in Boise, Idaho. 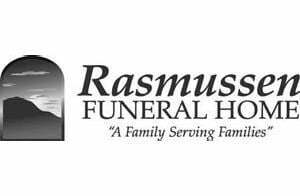 Cremation and arrangements have been provided under the care of Rasmussen-Wilson Funeral Home of Burley.